Scales of Justice-Frankfurt Version (https://flic.kr/p/df4vu5) by Michael Coghlan (https://www.flickr.com/photos/mikecogh/) used under CC BY SA 2.0 (https://creativecommons.org/licenses/by-sa/2.0/). Ethics in Law Enforcement by Steve McCartney, Justice Institute of British Columbia, Rick Parent, Simon Fraser University is licensed under a Creative Commons Attribution 4.0 International License, except where otherwise noted. This text was really quite comprehensive in terms of the subject matter, quite closely mirroring many of the areas covered in the course. In particular chapters 2-4 and 6-8 were used specifically throughout the course both for reference and for review of material, as well as for an introduction to some content. Students found the text effective for their purposes, and the text was used throughout the semester on a regular basis. As an area for consideration in future versions, the only course material not covered in the text was related to Distributive, Restorative and Corrective Justice. 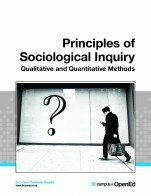 The text does mention Rawls' Theory of Justice, and this could potentially be expanded as it is a natural segue into justice systems, and particularly Distributive Justice which underscores many of the ethical situations law enforcement students may have to understand or relate to as they progress through their program. A glossary was included at the end of each chapter. This was beneficial, although an index at the end would also have been helpful. One of the strengths of this theory-based book is the inclusion of source material with reference lists that allowed students to go into more depth in areas of specific interest. This reinforced the credibility of the material and the accuracy of the content provided. Diagrams and graphics were likewise accurate, if limited in use in this text. I might recommend the addition of case studies, questions for reflection, and visuals to create interest, and to encourage critical thinking about the material and an opportunity for students to apply what they have learned in theory. Some students struggled with opening links, and this could always be problematic for maintaining a text that uses online references. Most of the material however, is current and up to date, although as the date is now 2018, it might be advisable to look into a revised version of this 2015 text, to ensure it does not contain information that is dated or obsolete. The prose is clear and easy to understand. 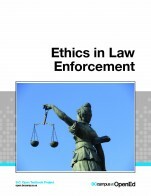 It is an excellent introduction to the terminology and content of ethics in law enforcement. Student reviews indicated that the text makes topics covered in class clearer and that is does a good job of making different elements of ethics relevant to policing. This text is written as standalone chapters, however, the voice is consistent throughout, which makes it easier for students to follow. There are some style guide issues that could be incorporated into the next round of revisions (ie: ensuring consistency in numbering or bullets, use of italics or bold lettering, use of hyperlinks), and for the sake of student navigation, it might be worth considering the use of a general index at the end, as well as a final reference list (instead of the Reference list being at the end of each chapter). These suggestions should not be read so much as critique of the text, as they are more from the perspective of an editorial eye, and do not greatly interfere with the usefulness or relevancy of the content itself. In some cases the APA referencing was mixed in with numbered footnotes which also served as references (Chapter 3 was particularly noticeable) and this might be worth reviewing to ensure the text maintains its overall constant framework. Absolutely. 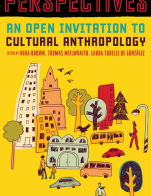 One of the primary incentives for adopting this text was the way it largely mirrored the flow and structure of the course it is intended to support. There was some variation, but that was mostly due to personal preference rather that issues with the organization of material itself. Each topic leads into the next with smooth transitions, building on the information and thus allowing an instructor to easily incorporate activities that reinforce each concept covered. Again, to truly reinforce concepts, and to encourage students to apply learning, some case studies or reflective questions could be included as well. This text was used in a number of different formats including web-based, PDF, some printed chapters, and as an e-book on numerous devices including both tablets and phones. No issues were reported by students or observed by faculty. In terms of navigation, one suggestion might be to hyperlink terminology (ie glossary terms) back to the original introduction to the term. An index would achieve the same result. •	Colon use should only be used at the end of a complete sentence, but many texts—including this one—include them after sentence fragments. •	Parenthetical citations do not usually spell out the word ‘and’ but instead use an ampersand (&). The text itself does not display any obvious bias. There is a specific section (4.4) on Person, Gender, and Cultural Differences, and this section should possibly be expanded. 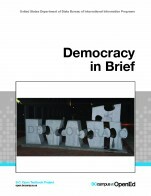 Canada is most certainly a multi-cultured society and this text currently only dedicates a short section to this, thus only superficially addressing some key areas that are relevant to ethics in law enforcement. I do recommend this text. 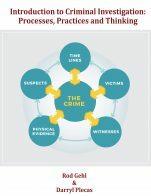 It is a solid introduction to many of the ethical concepts that students in law enforcement-related programs should know. The Canadian content makes it even more relevant to students. There are a number of suggestions I’d like to make. These should by no means be taken as criticism, but only in the spirit of improvement. Some of these suggestions have been made throughout the review, but are summed up below for ease of reference. •	Add visuals and sidebars to break up chunks of text and to draw the eye. Students respond well to visuals. •	Include case studies and/or applied examples. These will help students apply the theory of the text and get them to think critically about what they are reading and learning, In addition, they will help break up the text as they can be in sidebars or other visually-appealing formats. •	Add a complete Reference List to the end of the text.